The new Office for Mac has arrived and it is here to provide you with the best work experience possible. Office 2016 for Mac enables you to work anywhere, anytime and, the best part, you can work with anyone. 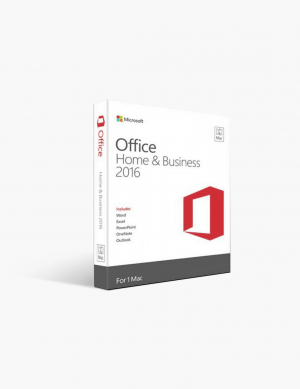 Office 2016 offers you the familiar experience but with new and improved features for easier working. The new and modern versions of all the tools you know and like, such as Word and Excel, combine the best from Office and Mac in order to create perfection. With new and improved Word, working on documents is easy. It features an Insights pane which shows you relevant contextual information from the web inside Word as well as built-in tools which enable you to share your documents. More people can work on a document at the same time while having a conversation right next to the document in question. The improved Excel for Mac allows you to turn numbers into insights with plenty of ways to make you more productive such as keyboard shortcuts and data entry enhancements. The new and improved Excel features PivotTable Slicers to help you discover patterns in a large volume of data. You will be able to present your ideas in a confident way with the new PowerPoint. The new Presenter View makes giving a presentation a lot easier by enabling you to project only the presentation to your audience while displaying the current slide, next slide, speaker notes and a timer on your Mac. You can ensure that your finished product is perfect with the new Animation pane as well which helps you design animations. With OneNote, document your ideas and format your notes the way you like by using digital notebooks which are accessible on any device. You can insert pictures or bold and italicize your notes. The powerful search engine allows you to find things quickly as well as track your notes, making it convenient for you. With the new Office for Mac, managing your emails, contacts, calendars and tasks are even easier than before. You can stay organized with an up-to-date inbox thanks to the new Outlook for Mac. The new message preview reveals the first sentence of an email, giving you the choice to decide whether you wish to read the email now or return to it later. There are many benefits of buying Office 2016 for Mac - let’s review some of the reasons why the new Office is so great and definitely worth the money. It was worth waiting for the new Office as the familiar features we cannot imagine working without are now greatly improved. With this updated version, it allows you to work more easily and be more productive due to the many tools at your disposal. 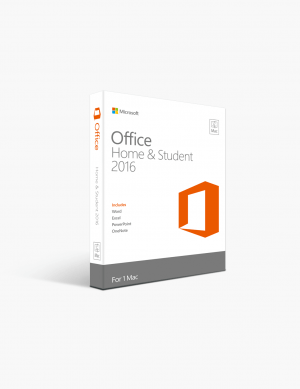 Besides the old but improved features, Office has added new features as well which you will find to be very useful. Office 2016 for Mac features a redesigned and tidier Ribbon Menu which allows you to organize features to be able to quickly find what you need. Office 2016 for Mac shows you your OneDrive folders by default in the Open and Save dialogs and enables you to see files and folders that have been shared with you, as well. You are also able to see the shared folders right in the same dialog, which makes collaboration a lot easier. In addition, Office 2016 features integration with OneDrive, OneDrive for Business and SharePoint, too. When comparing it to Office 2011, one of the major differences that you will immediately notice is the interface design. Everything looks better on the Retina Display on your Mac and the colored toolbars help you orientate and quickly find what you are looking for. Another major difference and one of the most welcomed ones in Office 2016 is support for threaded comments in Word. So now, you can leave a feedback on a document and have a conversation right next to the document you are working on. Excel has plenty of additions and provides a completely modernized and improved experience, with new features such as PivotTable Slicers which enable you to filter the data in the spreadsheets. For those performing complex operations and statistical analysis, the Analysis Toolpak add-on is extremely useful and the recommended charts feature makes your job a lot easier, as well. PowerPoint has now improved as much as the other features and offers a variety of professionally designed online templates. Threaded comments are also enabled in PowerPoint now just like in Word. Softwarekeep offers you a wide range of products if you are looking to buy MS Office products or update your existing ones. With reasonable prices, you can get premium quality software in no time. We offer quality products with a variety of deals and discounts such as monthly sales and we aim to provide excellent service, as well. Meaning to say, our customer support will be there to assist you all the way, not only when you make a purchase. Office 2016 for Mac brings you the best of Office - with improved existing features and useful new ones, working on a document or staying organized has never been easier. It is an extremely powerful set of productivity tools designed to make you more productive and your life easier.